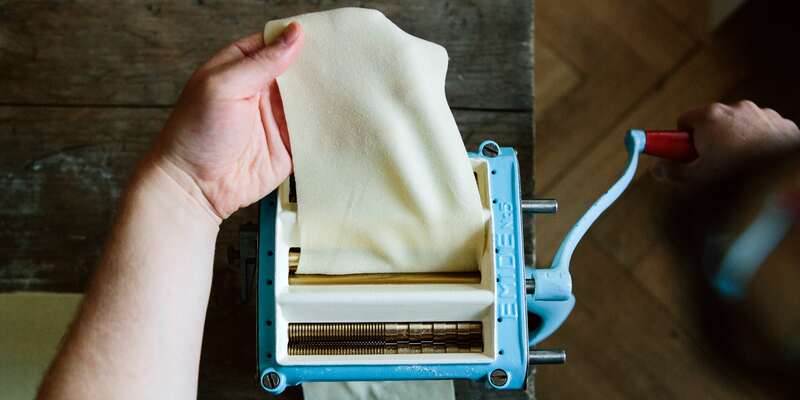 Self-made, fresh pasta is very easy to prepare (at least with a pasta maker) and tastes so much better than bought pasta. 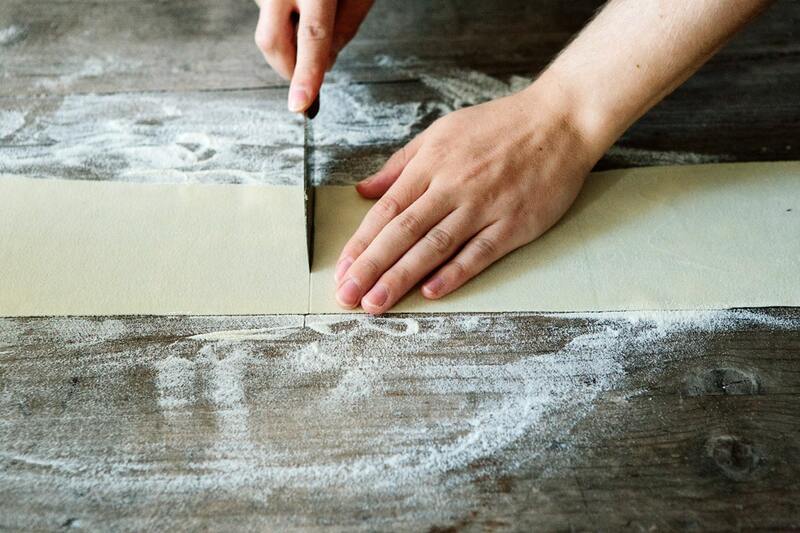 Every region of Italy and every village has its own pasta recipe and shape. We’d like to show you two basic recipes to have a basis for different pasta types. 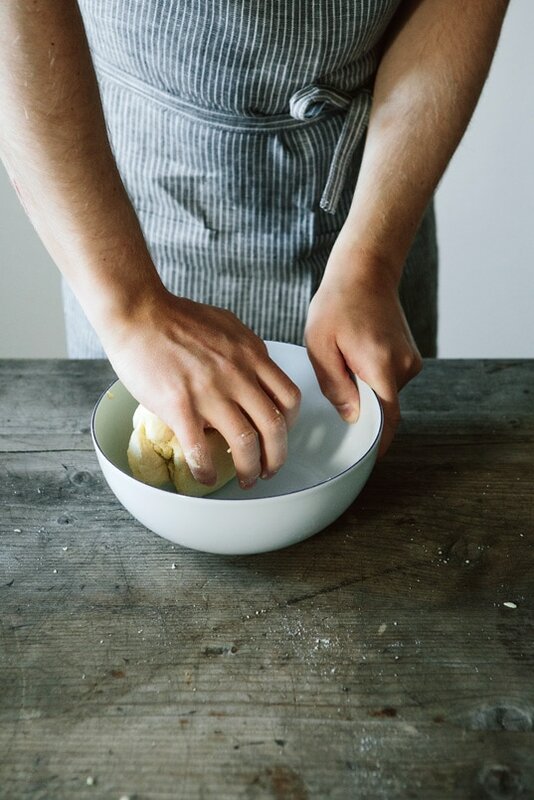 It doesn’t matter whether you’d like to make fettuccini, spaghetti, lasagna or stuffed pasta like ravioli or tortellini, the preparation of the dough is the same. 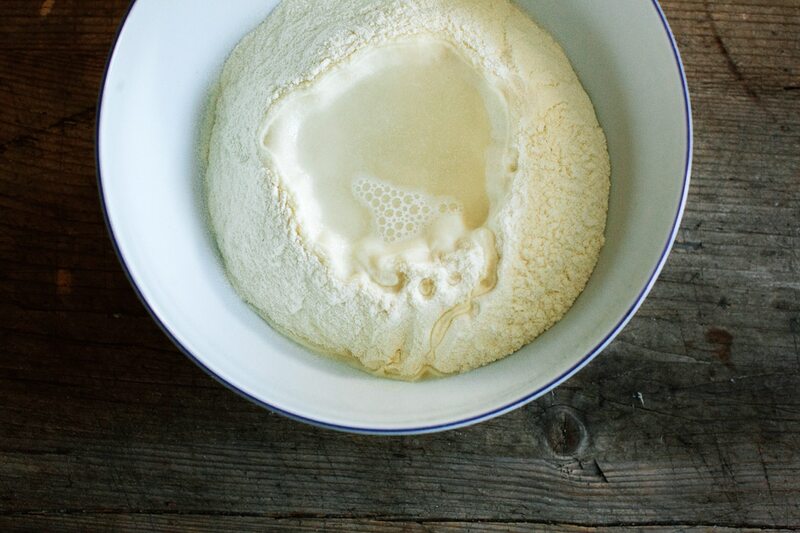 All ingredients need to be kneaded in a bowl for at least 5–7 minutes. 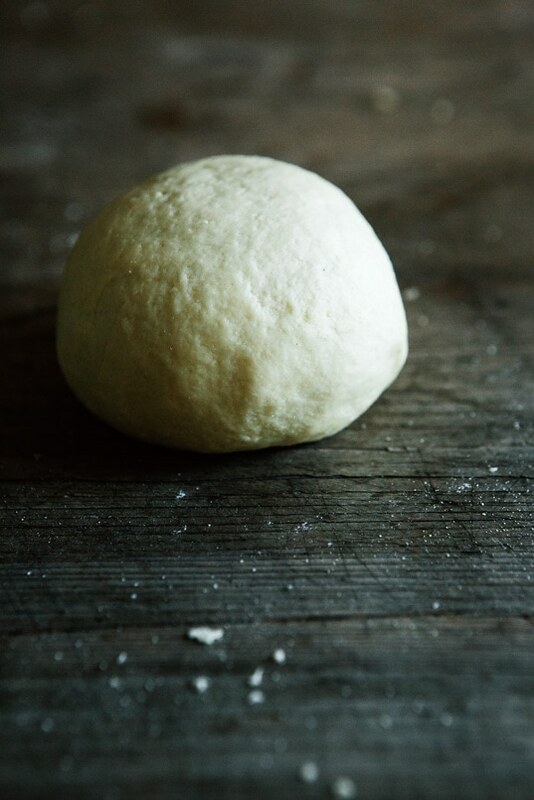 If the dough is too hard, add some more water, if it is too sticky, add some more flour. You can also use whole grain flour for the pasta containing eggs. 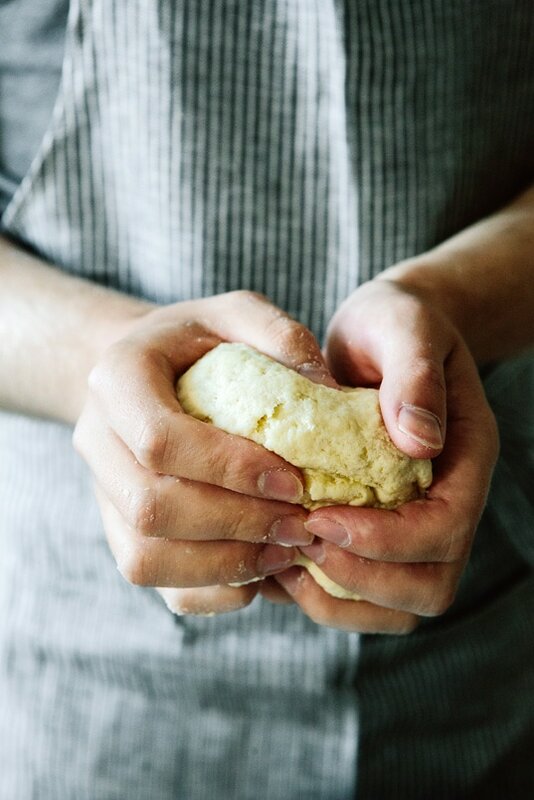 Wrap the dough ball in plastic and refrigerate for 30–60 minutes. 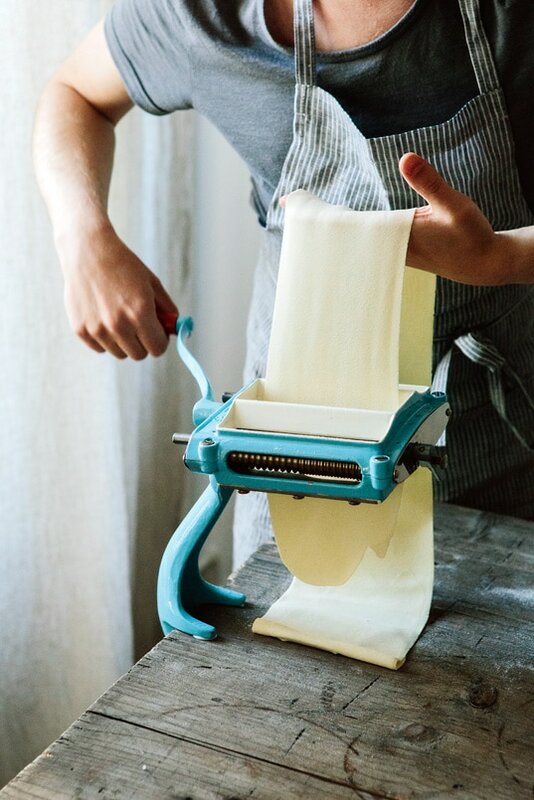 Then form the pasta. Bring a big pot with salted water to a boil and let the pasta soak for 3–5 minutes depending on the thickness and shape. The water should not be boiling anymore. When they come up to the surface, take out, drain and then serve directly with the preferred sauce or pesto.